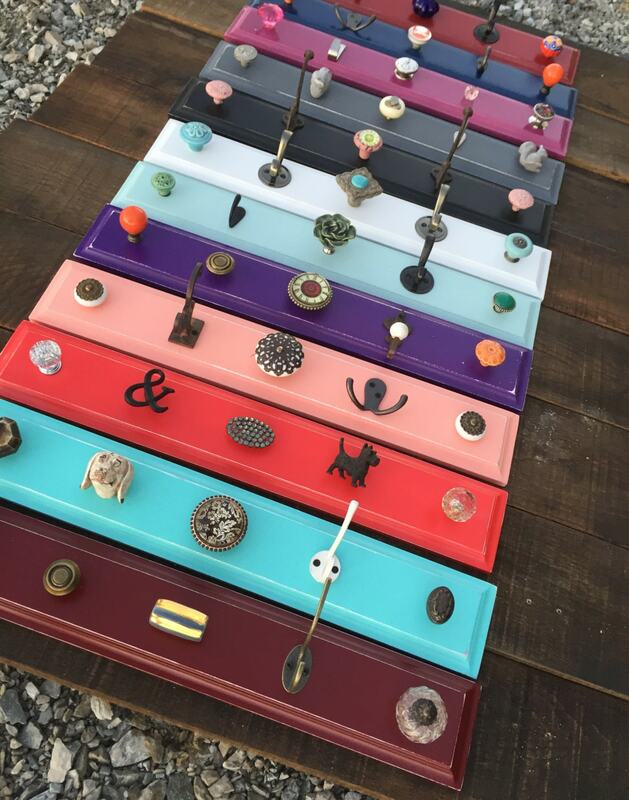 A unique and Beautiful gift... painted hook board is a great way to display your necklaces or hang anything you want to show off. 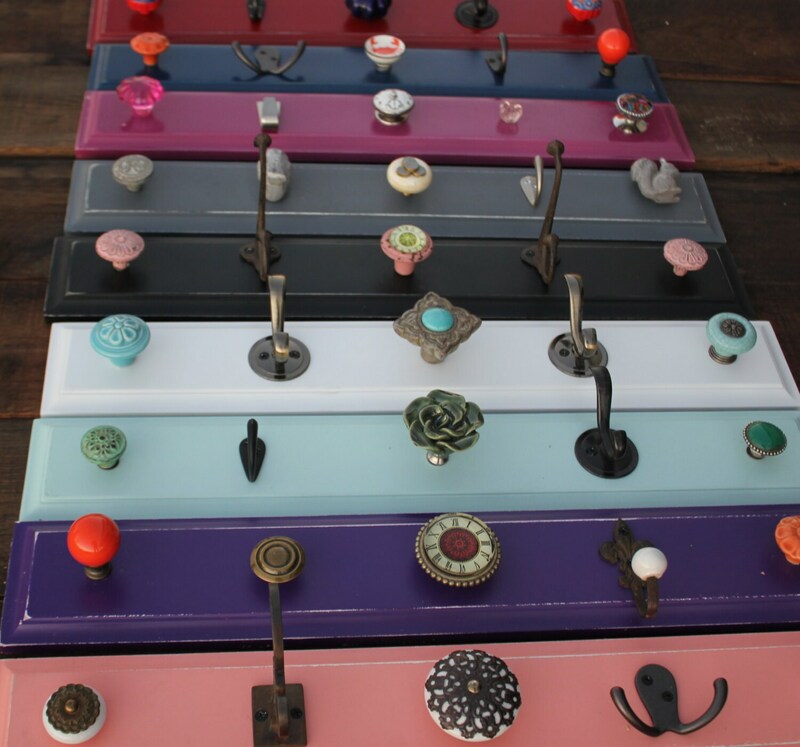 The classic knobs create an elegant look in various colors and shapes. 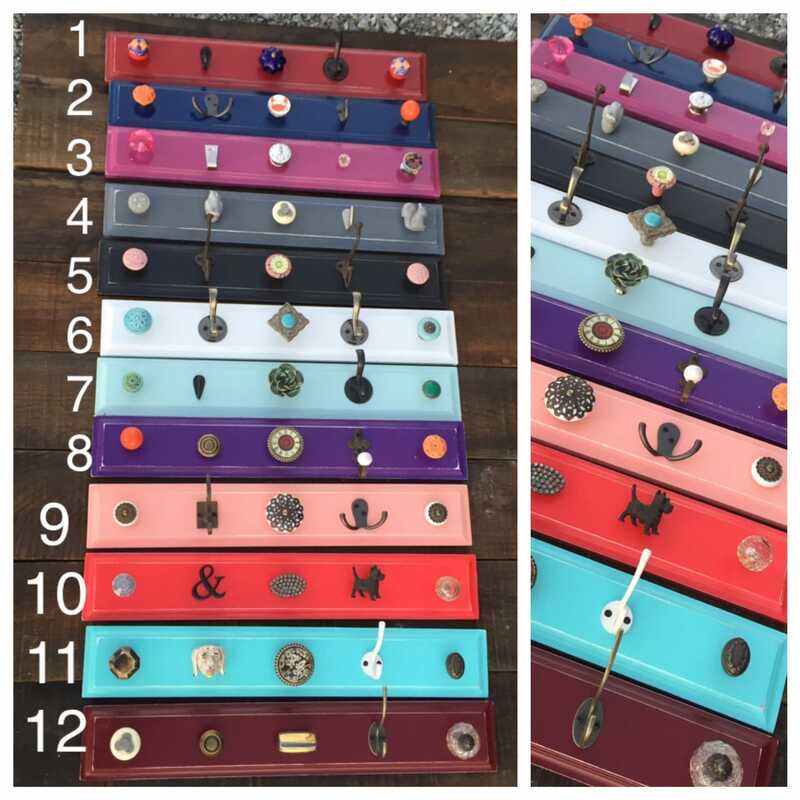 This is for one hook rack, please put color in message to seller upon etsy checkout! Contact me with any questions! 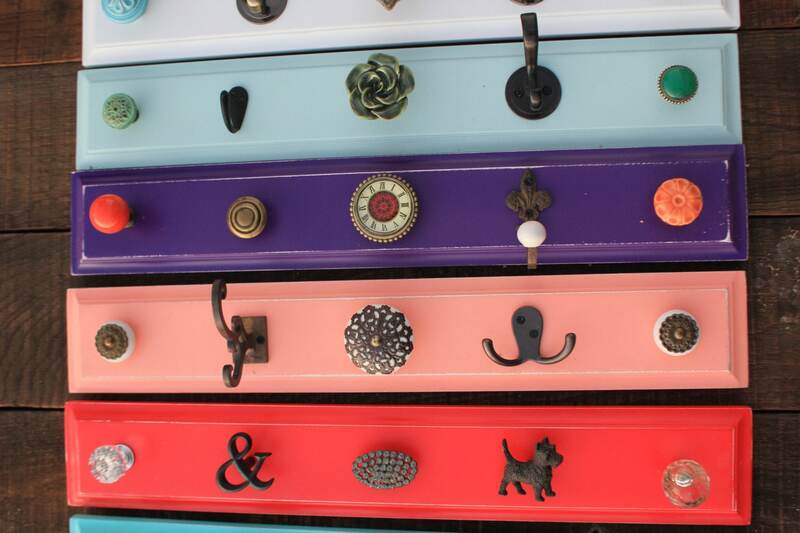 NOTE: If the rack color you pick is sold, I will create one in the same color with similar knobs. I can send you a photo of the slightly altered rack if requested. If you want a large quantity, I have can give you an even better deal! Convo. me for a custom listing! Size approx. 22" x 3"
Hangs with sawtooth hangers on the back.